8 Reasons to choose Domaine Glinavos. Reasons to choose Domaine Glinavos. The story of the variety, the winemaking, the maturation. The story of the rain, the sun and the land. And allow us to continue our journey and share this journey with you. A journey full of stories, taste, passion, desire and 8 reasons. Meet the man, who begun in 1960, with a vision that this land in Zitsa can produce qualitative seeds. With the knowledge to turn this vision into reality and the love to share it with the people. Cause, without love, it’s just wine! Our underground cellar is 380 sq.m, stoned with a capacity of 500 wooden barrels. Temperature is one of the most important factors when it comes to wine maturation. The temperature is always steady between 14°C and 16°C. This temperature allows wine to mature and evolve smoothly. Hygrometer shows us the current humidity of the cellar. It has to be always steady and in high levels. Humidity helps the attribution of a wooden barrel, allowing the right volume of blend between wine and oxygen. And that makes a big difference to the consistency and the character of a wine. Our stoned cellar protects wine from abrupt temperature changes, one of the biggest threads of maturation. To understand how delicate maturation is, even the light can make a difference. Natural or artificial light can cause oxidation by rising the temperature of wine and blocking it from maturation. That’s why many mature wines are sold in dark glass bottles, not allowing light to enter. Our cellar has minimum light for the maximum outcome. Vibrations can affect the process and damage the wine. They brake the formation of sediment, leaving particles floating around. This may weaken the taste of wine. Curves on the walls create a harmony between the cellar and the barrels. Curves can reflect sound, giving positive vibes to the area. In our cellar, many and different varieties mature. Our famous Debina, Vlachiko and Mpekari. 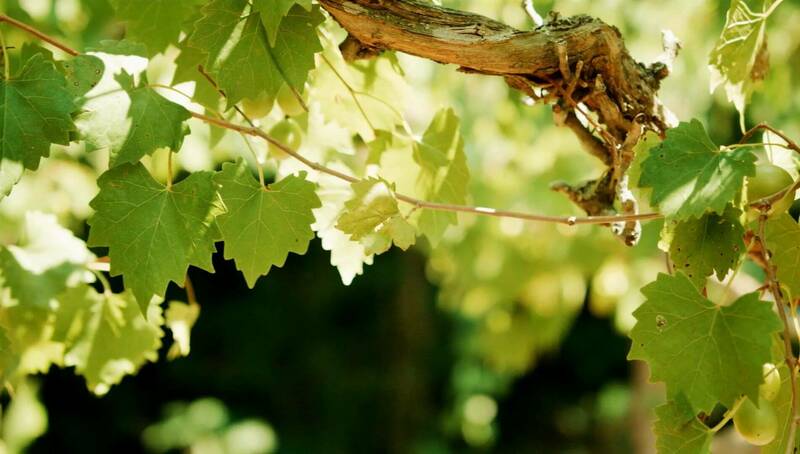 Also the well-known Agiorgitiko and the international varieties of Merlot, Cabernet Sauvignon and Syrah. One of the oldest and most traditional ways of keeping the wine safe from temperature and humidity was by covering the barrel with a piece of canvas. Most of the time this canvas was wet, keeping them safe in high temperature. Sealing a barrel the right means you keep it clean from outside factors, such us dust, oxygen and dirt. Synthetic cork, compare to a wooden one, cannot dry. And that’s what makes it the safest choice. Our cellar has approximately 500 wooden barrels. Our barrels are all made of the finest oak, coming from France, Spain and USA. Most of them have a capacity of 225 liters (the classic ones), while a 10% of our barrels have a capacity of 300 liters. Our sparkling wines are produced with the traditional method of Champagne (the historical north-east French province), also known as methode champenoise. The second fermentation takes place in the bottle and last about 2 years. Every bottle is placed horizontal, engaging with the yeast. Then the bottles are placed upside down for the yeast to fall to the neck of the bottle, making it easier to remove it. For red wines, maturation lasts between 10 to 24 months, while white wines can mature up to 12 months. Our cellar is placed 6 meters deep, beneath the surface, to ensure the proper circumstances for the wine to mature. The place where wine matures and be protected from heat, air and humidity. In winery, this is the “vault”, where all the goods are kept, the finest wines and varieties. Usually, cellar is placed underground, where you can achieve the perfect circumstances for the wine to mature properly. French use the term “elevage”, which means that wine grows through maturation. Grows like a living organism. 78 National and International Awards! and wine tastings due to their uniqueness and high quality. and highlighting the excellent grape varieties grown in Zitsa and Ioannina. Perfection is an endless journey. Every award, every achievement is a step closer to this journey. 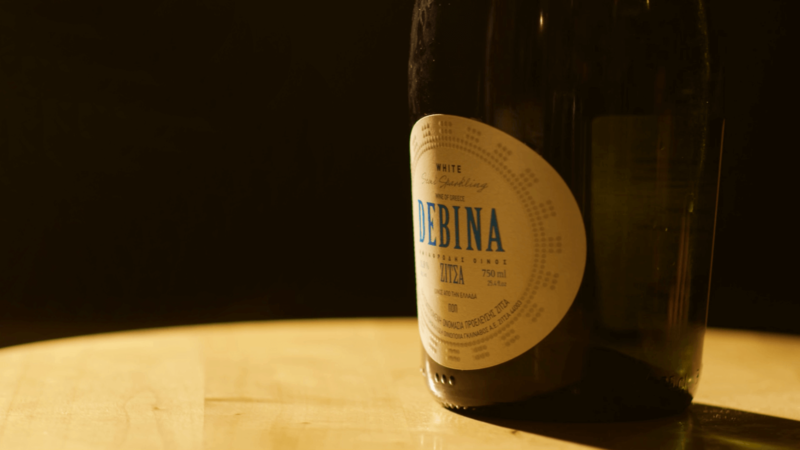 Debina is a thoroughbred Greek white wine grape variety, delicate and crispy. Its origins are located in the beautiful Zitsa of Ioannina, where it is grown on the hilltops of the six villages in the famous Wine Region of Zitsa. It is considered to be unique in its kind due to the fruity, classy and elegant aromas of apple, pear and peach, which certainly can seduce the most demanding wine lover. Uniqueness makes you stand out. And the land of Zitsa produces a unique variety that does exactly that. A variety that makes Glinavos wines even more special and unique. Today neither eating nor drinking is as it used to be in the past. do not only consume, but we taste, enjoy and feel. you know how to live a unique experience. For every taste, every flavor there is the right way to combine them. And if you know how to do it, you know how to live a unique experience. even the most demanding palate. And the outcome can’t be less than perfect. The quality and authenticity of Glinavos wines can delight even the most demanding palate. And the outcome can’t be less than perfect. Every taste needs a different wine. Not all the wines or wine distillates are the same.This is the reason why there are wide variations, both in terms of quality and in price. By extension, there are different categories of wines and spirits, which are determined by the various soils, microclimates, the yields and natural grape varieties. In the area of Zitsa, someone may meet all these variations. Considering all these elements, and the wine making techniques for each type of wine or spirit (as grape crushing, vinification, aging, distillation), Domaine Glinavos wines and tsipouro (Greek distilled spirit) are classified into the following five categories. Plato once said that wine help the true character of a man to emerge. And every man has a different character and taste. So, every taste needs a different wine. Discover the wine that matches your character and taste.